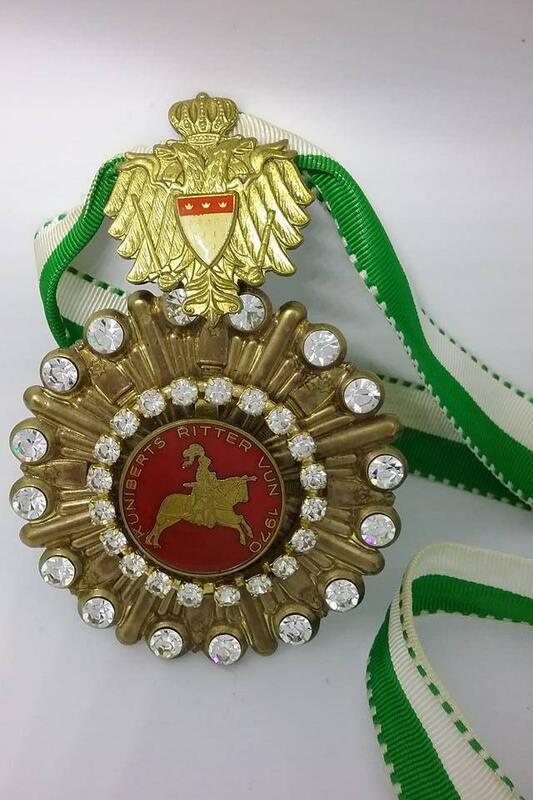 Carnival Society of Cologne Germany, Medallion with Medal. A rare beauty from the manufacturing company, Orden Bley of Bonn. It is marked as such. The workmanship is impeccable. 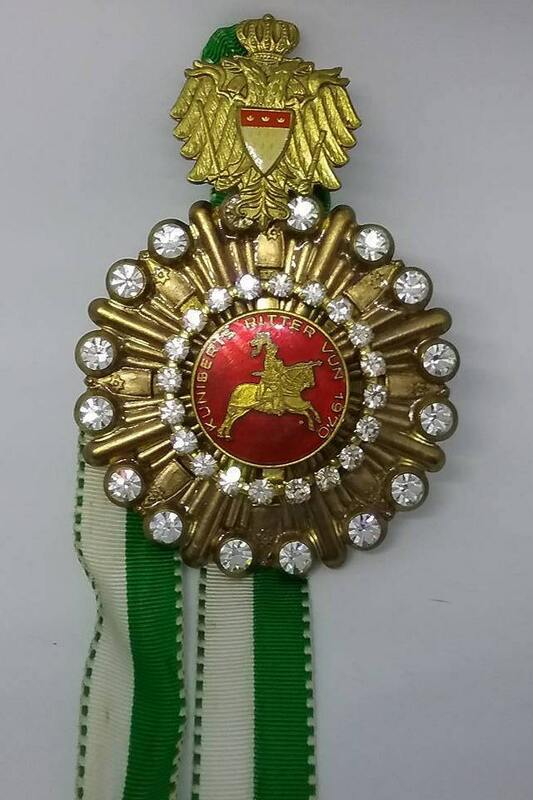 The top medallion, approx. 1", is the Coat of Arms of Cologne, in beautiful detail. Hanging from it is a 2 3/4" brass medal surrounded by large shiny rhinestones. 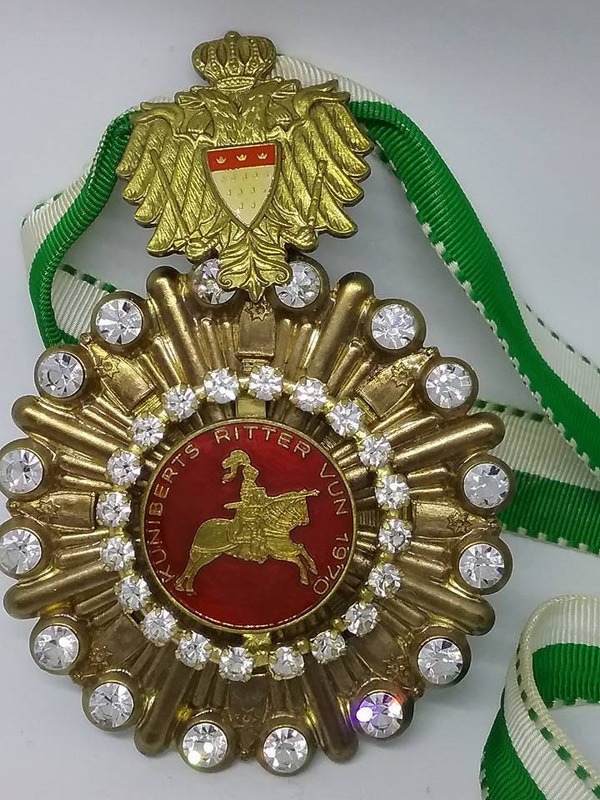 On the inner circle of rhinestones is a magnificent enamel and gloss, red tack, with gold knight on a horse, and gold lettering, "Kuniberts Ritter Vun 1970". 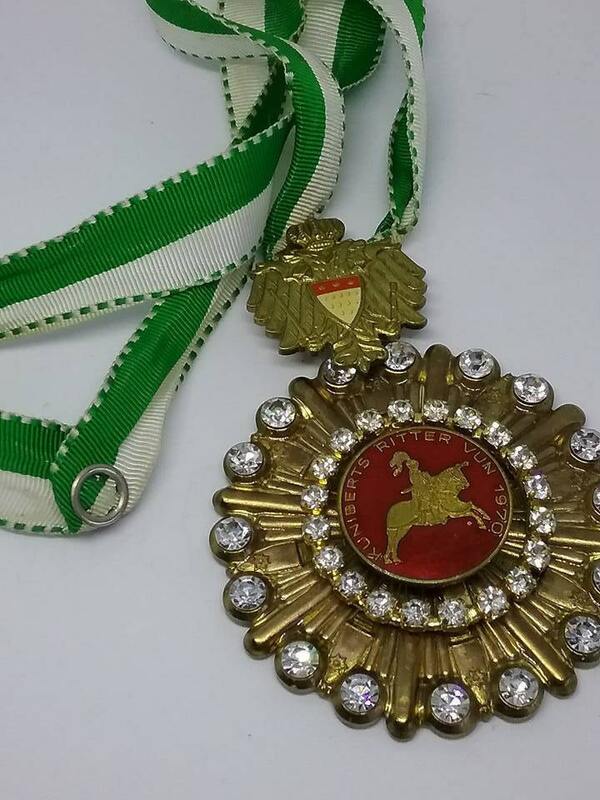 It appears to be a medal of distinction, as it is not the usual flat brass and enamel medal from "Karnival". Perhaps it is from the Ladies Order of Cologne Carnival Society. 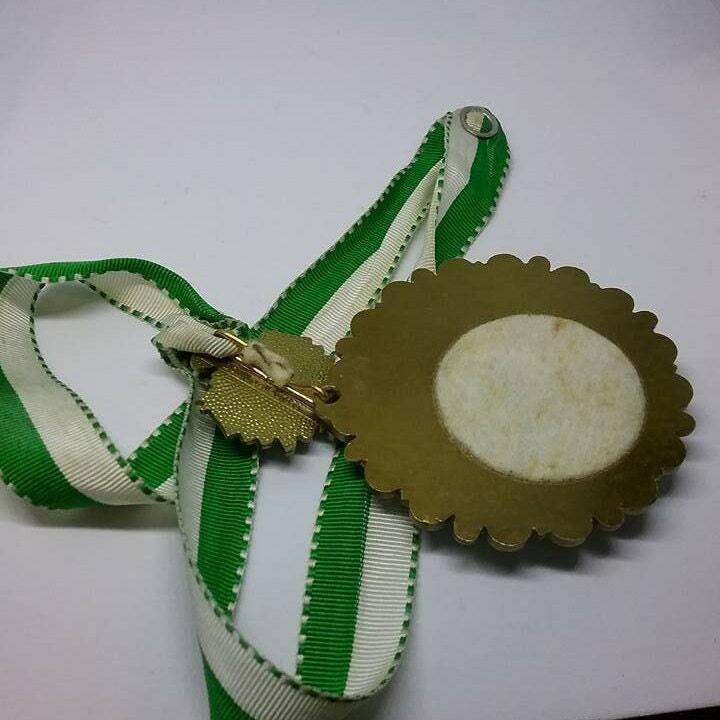 The medal hangs on a green and white ribbon with a strong fastener. This is a gorgeous piece of nostalgia, but also as a piece of art.......stunningly beautiful, and rare. In excellent - very good vintage condition. 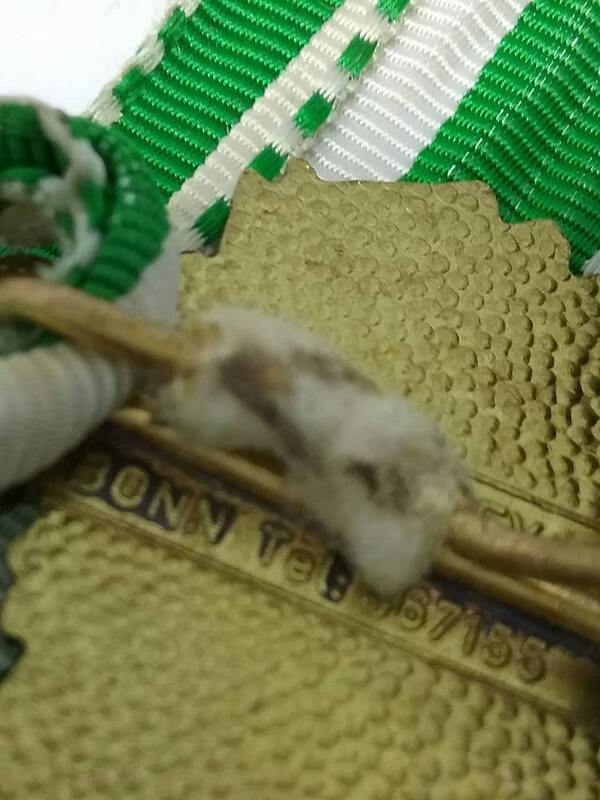 The only wear seems to be on the ribbon, which is minor. All rhinestones are present and shimmers elegantly. A true treasure to behold.